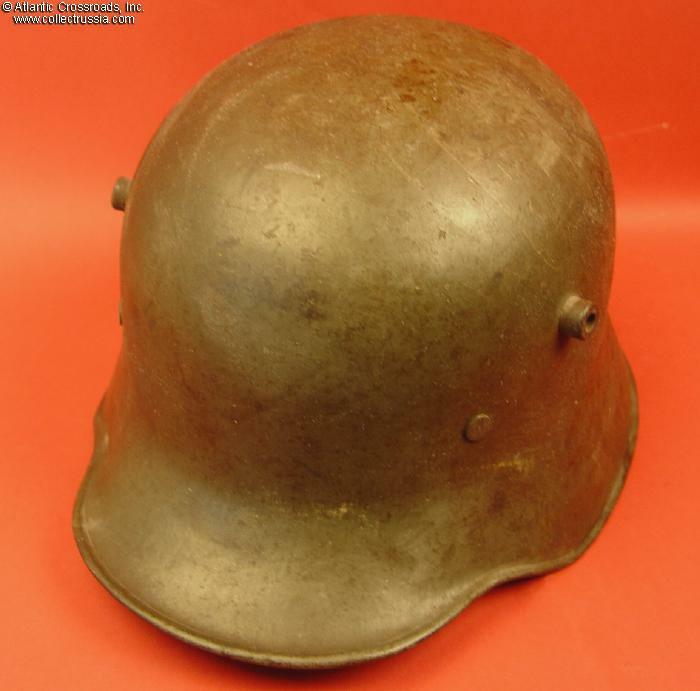 Imperial German Army helmet, with liner. 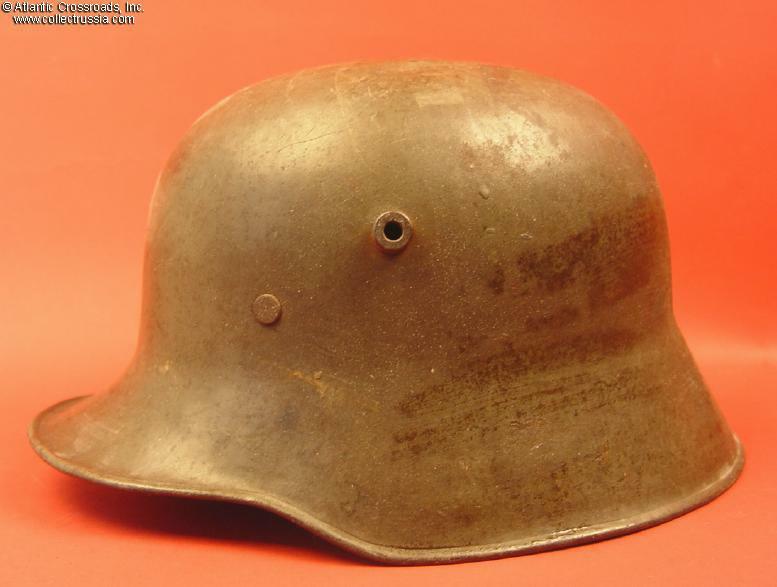 Imperial German Army helmet, with liner. In very good condition. Original green factory issue paint is about 80% with rust patina overall. 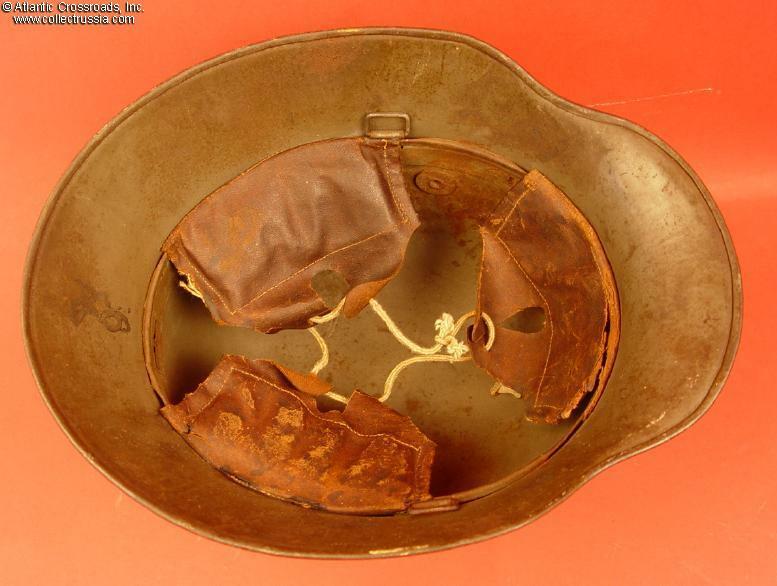 Liner is complete but forehead pad shows wear and is torn at the fold. String is probably not original. Shell size appears to be a 66, meant to fit a size 58 head. 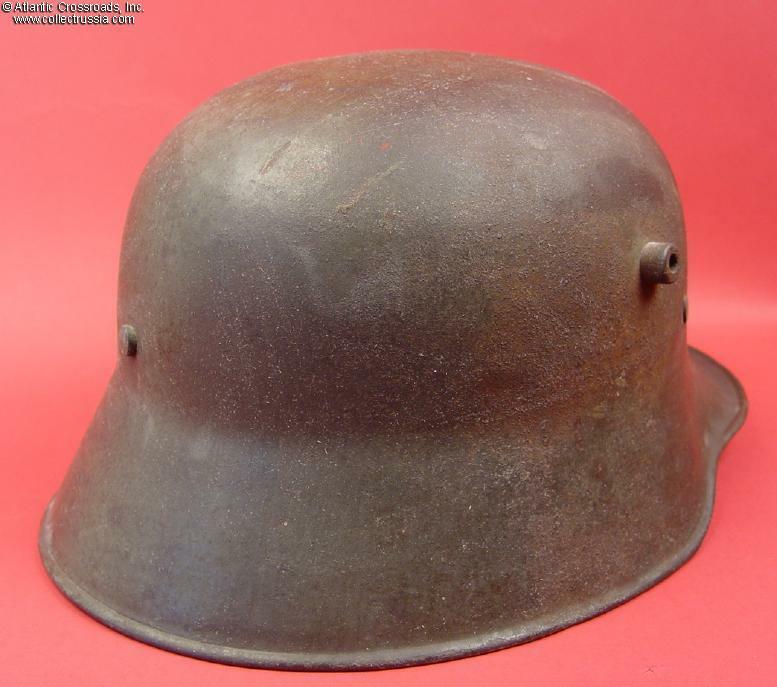 Unusually large size for WW1 helmet.